In the late 1980's, some two dozen Edmonton Power employees were asked to consider being involved in the publication of a booklet which would document the history and development of Edmonton Power. As the project progressed, it became clear that it would take much more than a booklet to properly represent the history of a company as rich and diverse as Edmonton Power. "To encourage and foster a greater interest and awareness of the history of the generation, transmission, distribution and usage of electrical power in the City of Edmonton and the Province of Alberta." The Foundation's current mission goes beyond the original ties to Edmonton Power, now focusing its energies on a variety of activities geared towards preserving the history of the industry in general and documenting the ways electrical power generation has helped shape the economy of the Province of Alberta. 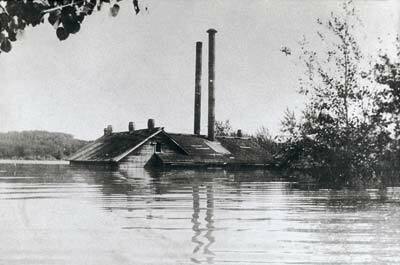 1891 - Edmonton's first electricity generating station is established. 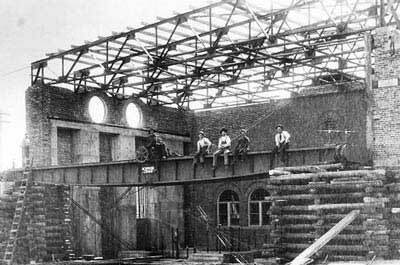 It was a coal-fired, steam-driven plant operated by the Edmonton Electric Light & Power Company. 1891 - Street lights are installed along Jasper Avenue. They operated from sunset until 1 a.m. and in the winter from 5:30 a.m. until sunrise. 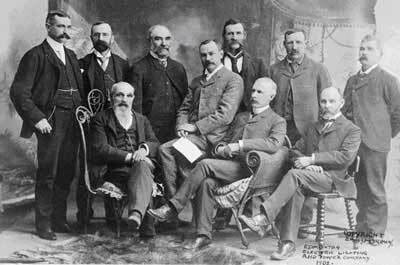 1891 to 1901 - Edmonton's first power company, The Edmonton Electric Light & Power Company, is owned by Alex Taylor and his partners. 1902 - The Town of Edmonton buys the Edmonton Electric Light & Power Company for $13,500. 1902 - Low Level Bridge opens, connecting Edmonton and Strathcona. 1905 - Round-the-clock electric service begins in Edmonton. The Edmonton Light Department had 53 customers. 1905 - To celebrate Alberta becoming a province, Edmonton Power customers are treated to free power for a week. 1908 - Edmonton becomes the first town west of Winnipeg to establish an electric street railway system using tram cars. Electric trolley buses began replacing the trams in 1939. 1922 - Edmonton Power starts using underground electric cables. 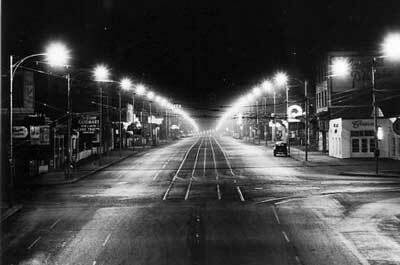 1929 - The first neon sign is installed on Jasper Avenue. 1933 - Edmonton gets its first traffic signal. 1976 - Edmonton becomes the first North American city with a population below 1 million to have a light rail transit system (LRT). 1982 - Work begins on the Genesee Generating Station, 50 km southwest of Edmonton. Project cost is $1.2 billion. 2002 - Work begins on a third unit at the Genesee Generating Station. This will be the first coal-fired unit in Canada to use supercritical boiler technology. Project cost is estimated at $600 million.